The book sleeve says “This is the Life. Believe it or not I haven’t forgotten any of it.” The best rhythm guitarist in Rock and Roll history has decided to grace us with all the stories that we’ve wanted to hear about since we saw Kurt Cobain drunk on MTV at twelve years old. What do rockstars do when they aren’t on stage? This shockingly candid and surprisingly well written autobiography from Keith Richards is nothing short of a MUST read for anyone who has ever cared about The Rolling Stones. Have you ever wondered about the rumors of Keith having annual blood transfusions or heard that when his father died he mixed his ashes with cocaine and snorted them? Well ponder no longer, friend. Keef starts with his childhood in Dartford, England, befriending Mick Jagger, up until the death of his mother and his cameo in the latest Pirates of the Caribbean movie. He leaves no Stone unturned. What is special about this autobiography is that it mixes all of the scandalous and absurd stories about fame and fortune in tandem with a very pure musical narrative. We see the maniacal party animal of Rock and Roll folklore, while also seeing the meticulous guitarist that could spend 24 hours without leaving a studio, or even taking a piss. 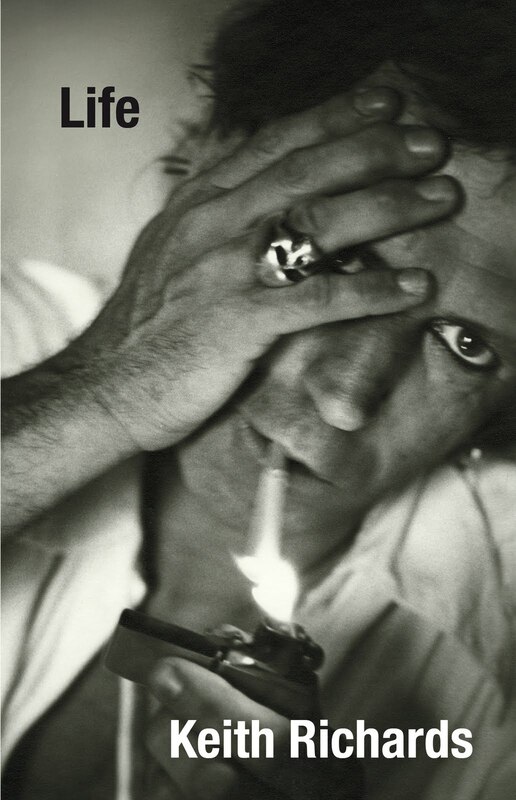 Keith Richards presents himself as the righteous demon, the wingless angel, basically the anti-hero. But you love him, and feel for him in every page. The book touches on many facets of his life — of course all of the arrests, acquittals, and drugs to fill a federal penitentiary — but also some very emotional accounts of his friends, lovers, and family. The story behind the story is the relationship between Keith Richards and Mick Jagger. Their friendship has deteriorated over the last 50 years. They go from the “Glimmer Twins,” an inseparable musical duo, to fellow employees who rarely speak. The reader can very much tell from Keith’s words that their distance weighs heavily on his mind. In both the number of pages that he dedicates to speaking about his lost friend and in the words that he uses to describe their friendship over the years, it is translucent to the reader that no matter what has happened, he and Mick are still brothers, though not friends. “There is too much wear and tear for that,” Keith says. Have you ever wondered what the song “Jumpin Jack Flash” was written about? Did you ever think it was possible for a human being to snort 8 grams of narcotics in one sitting? How about where Jimi Hendrix found the song, “Hey Joe?” Well this book will be your Rolling Stones Rosetta Stone. For me, the most enjoyable part of this book are the stories about Keith’s friendships with other musicians — John Lennon, Stevie Wonder, Gram Parsons, Chuck Berry, Eric Clapton, and many more. Every story has criminal charges and drunken debauchery attached. The only problem with this book is that after reading it, you have the strong urge to call Keith up and ask him to come over with a carton and some vodka, but you can’t. I strongly suggest you pick it up, grab an ashtray, and get ready for a ride. I un-quit smoking because of this book. Check it out.